The CMP Light Repair Adapter Fitting replaces a stripped or damaged pool light faceplate. 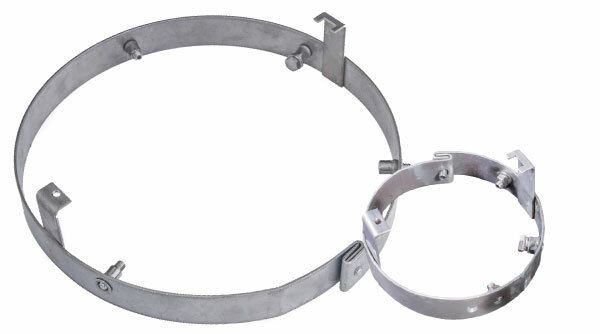 This fitting is designed to take the place of the screw and notch connections on the light faceplate. Normally, a damaged faceplate leads to a time consuming repair. This tool removes the biggest hassles that are a part of this pool service chore. There is no need to pull the entire light cord and “fish” it back through again. The Light Repair Fitting opens up, allowing service techs to simply place the light cord inside before closing the fitting again. Complete the repair without removing the light cord. The light ring can be adjusted to the exact depth required, so that plaster does not have to be scraped away to replace OEM light ring. Replaces connections that commonly break or wear out. For more features and complete instructions, visit the Light Adapter Repair Fitting downloads page. Contact your CMP Pool Products representative for more information. WARNING: Before working on a light, always check for a working Ground Fault Circuit Interrupter (GFCI). If no GFCI is present you MUST notify the home owner of its absence. We recommend that the home owner sign a document acknowledging the fact that no GFCI is present and that they were advised that a dangerous electrical issue exists with the pool. We do not recommend performing any work on a pool without a GFCI. Taking these precautions help protect you from potentially devastating lawsuits in the event of an electrical accident involving the pool. The CMP In Ground Pool Light Repair Adapter Fitting can be used to repair common and popular light niches, including the Pentair Amerilight® light niche. Pentair and Amerilight are registered trademarks of Pentair Ltd.